The intensity of a fixture is probably the singular most important element of control. How bright that light is is of an incredible importance. When I say how bright, that includes not on at all. To control an intensity of a conventional light bulb you simply have to interrupt the amount of power going to the element in the lamp. If you completely interrupt it with a switch you have either 0% or 100%. If you want to have a varying degree of intensity then you need a dimmer which lets you choose to what percentage the lamp is at. The higher quality the dimmer, the more exact and consistent you can be. These used to be very common. This is an individual unit that houses both the dimmer and the control slider/switch to that dimmer in the same unit. These can still be used today in small systems. You would not enjoy it in a large system. They are simple to understand and operate. Browse our selection of controller/dimmer combo. 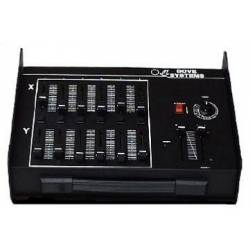 Satellite dimmer packs are units that are small and portable. Usually they are mounted near the lights that they are dimming. 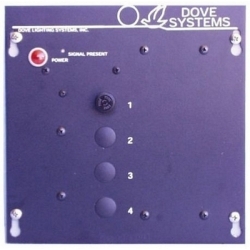 While there are variations, they commonly have either four or six dimmers in each box. If you do the math, they can be a very economical way of dimming. Browse our selection of satellite dimmers. A stick dimmer is a series of dimmers, usually four or six that are housed in a linear casing. These stick dimmers are then either attached directly to a pipe or to a lighting stand. One of the more attractive qualities of stick dimmers is that it is very easy to make your system look neat and clean with them. Browse our selection of stick dimmers. Rack-mounted dimmers are exactly that: dimmer packs that are designed to be inserted into rack cases. 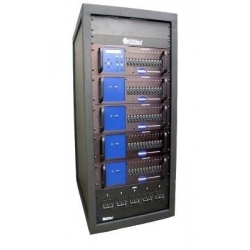 Browse our selection of rack mounted dimmer packs. Wall-mounted dimmers are aptly named for they are mounted on the wall. Very clean and do not take up a lot of space. Browse our wall-mounted dimmer packs. 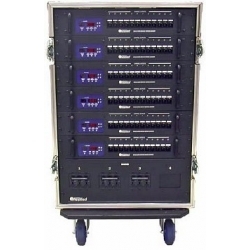 Touring racks are usually large groups of dimmers put together in a portable wheeled case. Very heavy but very necessary for large shows that go from place to place. 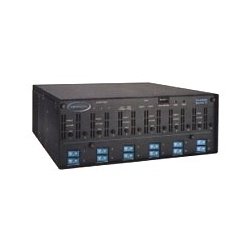 Browse our selection of touring dimmer racks. Permanently installed dimmer racks are large groupings of dimmers that will never go anywhere but where they were installed. Browse our selection of dimmer racks. Projectors, in general, do not have lamps that can be individually dimmed. If you want to lessen the intensity of your projected image one of the ways to do that is to block the light. Sometimes that is referred to as “dowsing” the light. 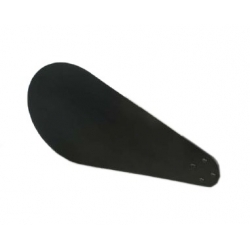 Browse our selection of projector dowsers. A relay pack is a unit that controls the intensity of a lighting unit as either being on or off. There is no variation in between. Browse our selection of relay packs.